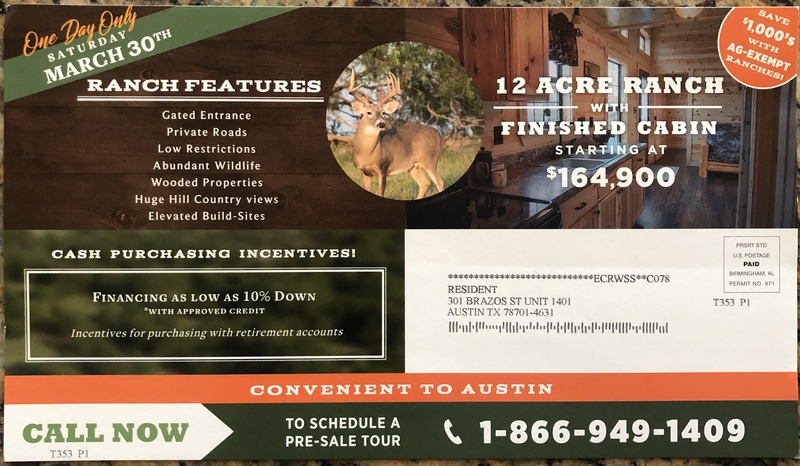 This is an interesting direct mail flyer for a “Liquidation Sale” of ranch property with cabins. 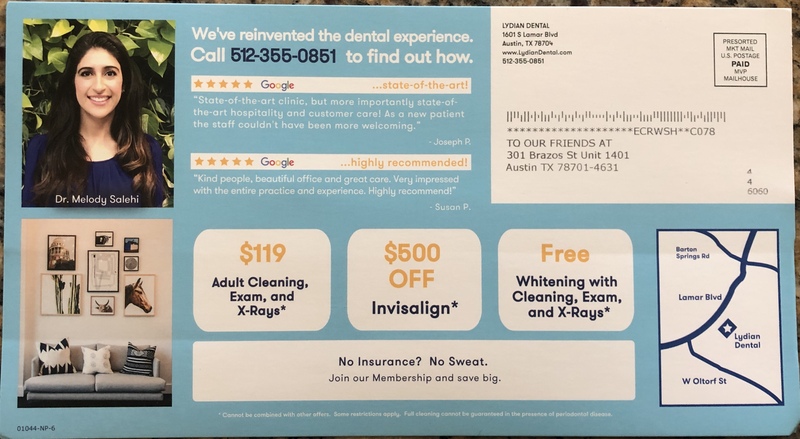 The interesting thing to note is that it doesn’t include a website…you MUST call to find out more. The other interesting thing is this is sent less than a week before the sale date, meaning people must move quickly and are under pressure to buy.